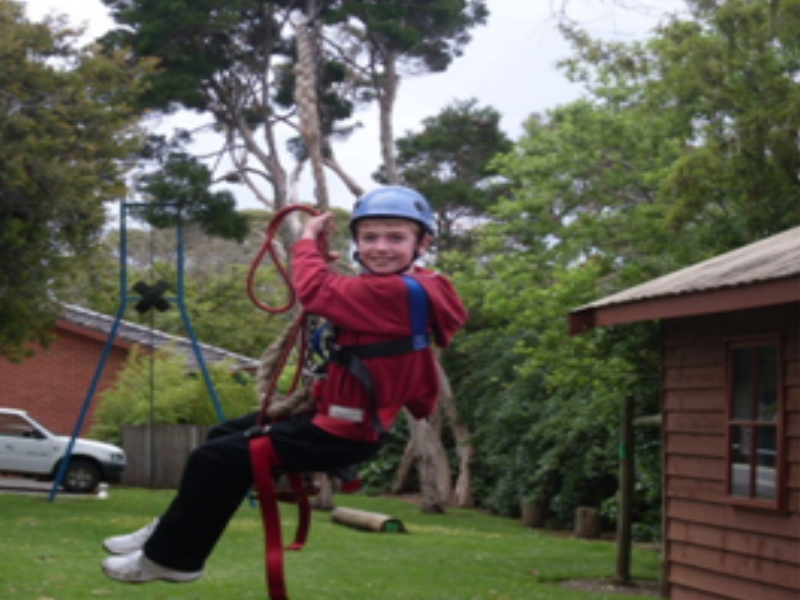 At Donvale Primary School students have the opportunity to experience camps and life away from home to assist with the development of independence and interpersonal skills. Donvale PS whole school yearly camping program begins with our Foundation students and concludes with our year 6 students enjoying a three or five day camp away alternating with either a beach or a bush setting. At the end of the their first schooling year, Foundation students will experience the beginnings of a camping program. Their school day begins early where they arrive in their pyjamas and bags packed with school clothes and toothbrush. After being served a hearty breakfast prepared by our parents and staff, the students will then get themselves ready for school. This includes getting themselves dressed, brushing their teeth and combing their hair all in time to commence their usual school day at 9.00am. In Year 1, our students camping experience involves a day at school where they participate in a variety of camping style activities. This may include making damper, singing campfire songs, orienteering, movies and various craft tasks. Our Year 2 students join our Year 1′s however their camping experience concludes with a sleepover at school. This program prepares our students for future camps and allows each child to engage in lots of fun activities outside of normal school hours. Our Year 3 and 4 students attend a 3 day / 2 night camp and Year 5 and 6 students attend a 5 day / 4 night camp when available. Depending on the year, the camp will either be beach focused or bush focused. Each camp experience focuses on adventure and initiative activities with the aim to improve the students’ interpersonal skills and ability to build positive relationships with others.